Good work keeps a business going. Great work takes companies to the next level. This white paper from the O.C. Tanner Institute examines not only what great work is, but how to promote great work throughout your business. 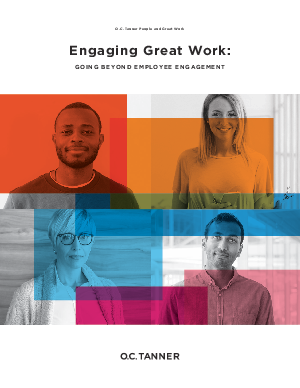 After all, great work doesn’t just help your company thrive, it helps give each employee a sense of purpose, achievement, and appreciation for their own work.